As an English teacher, I think it’s law that I enjoy Dead Poets Society. And I do, especially Robin William’s character whispering to his students, as if from the other side, “Carpe diem.” Yes, it’s a bit morbid, but in reality, it’s a stark reminder that this life is often impossibly short. Recently, a man I grew up with passed away suddenly. He was my age with two daughters the same ages as my own. Attending his wake was one of the most difficult things I’ve done recently. It cut too close to the bone and I was rattled for days by images of the funeral home. However, it also shifted my thinking. Today marks the first anniversary of my father-in-law’s death, which was the apex to one of the worst years of my life. Today, my wife is much better than she was a year ago. As are her siblings and her mother and her relatives. As are my own children. I’m all right, too, but with this most recent tragedy, I have again been reminded how fragile life is. I felt hollow reading comments online about how sad it was for someone so young to be lost. While true, the deeper pain resonated with me. That which his parents will carry, as will his wife, his daughters, and anyone else whose life he touched. And the vastness of what he will miss in life is simply astounding. It is almost too much to consider. This is exactly it. To live a life. 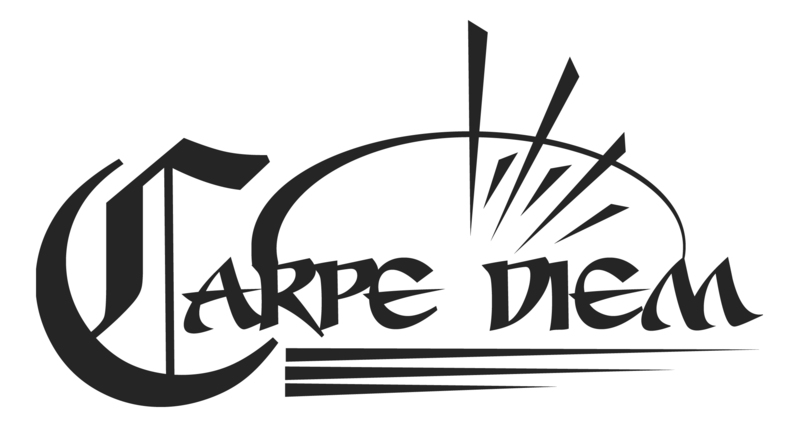 To seize the day–carpe diem. Recently, though, it’s been difficult to feel connected, to feel plugged in, to feel as if there is this great hope of a life lived. Our society is in shambles. I can barely go on any social media site without feeling the pit in my stomach deepen. So I’ve disconnected, pulled back and have only lurked and at times posted on Instagram. Not because I want to ignore, but because I feel myself falling into the precipice of despair. I don’t want to live hyper-focused on the negative. Trust me, I don’t want to be a hypocrite and ignore it either. Truly, I want to be active in the resistance, but I also want to live a life. Because they get cut short every day, and I still have so much that I want to do and to prove and to understand and to change. It’s a difficult balance, and I’m not sure I’m succeeding. I am trying. I am still writing. I am waiting to see if and when I will have another book out. I have just begun another project that I feel will be a solid story. I am thrilled that Moonlight won. I adored that movie. I believe that stories are worth telling, those about change, about fighting for what you love, about being the light in the darkness, about living a life, about seizing the day. Often, in spite of it all. Because so often this world feels hell bent on crushing the spirit. That simply cannot be. Because it is in remembrance to my father-in-law, Christoper Connelly, and my recently departed friend, Rich Gilooly, and all those who Viola suggests we exhume, that I will continue to push forward, and to share stories that I know will inspire us to be a little braver, a bit more sensitive, and always aware that there are whispers from the other side, to which we should be listening.